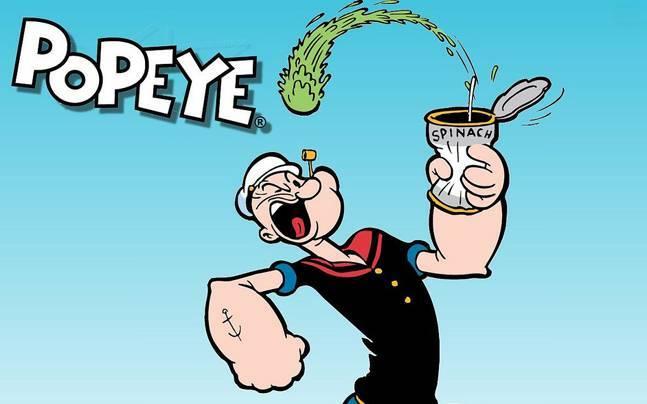 When I was young I used to love the cartoon character Popeye, especially how he would throw a can of spinach down his neck and suddenly get extra, almost superhuman strength. Its health giving benefits are well documented, but there was a time a few years ago when its benefits (and those of eating any dark leafy greens) was almost forgotten. That time was a period when the general feeling was that if you wanted to build huge muscles, you needed to eat stacks of meat and drink protein shakes by the bucket load. 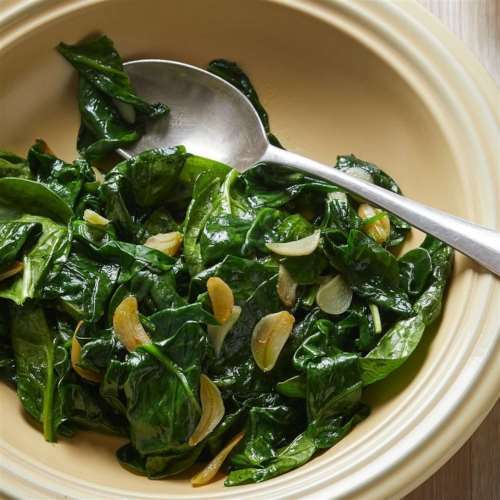 eating vegetables like spinach was merely an add on – a simple side dish. Modern day thinking has taken a turn for the better, its well documented that the western diet is generally too high in protein, we don’t tend to eat enough high quality fats (such as olive oil) and most certainly not enough fruit and vegetables. I am not a vegetarian by any stretch of the imagination, I love my meat – don’t get me wrong, but I do make sure that my diet is packed with more and more vegetables and as a direct result, I really believe that my health and fitness has improved. I love going to the gym, and walk, run and cycle too. I found that when I started to cut the meat content in my diet and started to eat just a little bit more vegetables that I was able to workout for longer, cycle longer distances and quite simply felt stronger and fitter overall. I lost a bit of weight and my muscle mass and strength definitely improved. 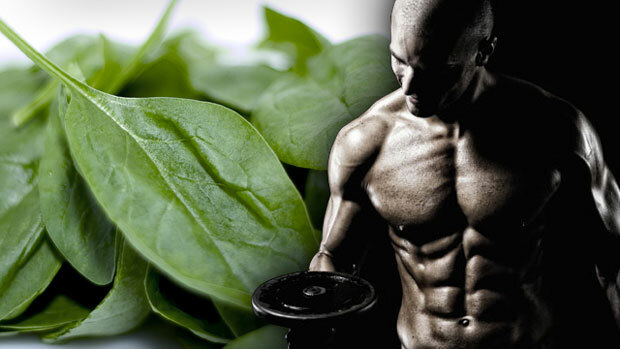 It is now crystal clear in my mind, as it is in many scientists that vegetables like spinach have solid testosterone, strength and health boosting power. It seems that Popeye was right after all! Spinach contains a powerful plant steroid called ‘phyoecdysteroids” it has been studied quite intensely and has shown that has solid muscle mass and strength boosting properties. One of the ecdsteroids found in spinach is called 20-hydroxyecdysone (20E). It has been found to have an anabolic effect in humans and animals but does not effect actual hormone levels. This means that it can help boost muscle mass and strength but will not directly influence your hormone production. Although most effects are linked to the phyoecdysteroids in spinach, there are actually many different compounds that can help the body to boost muscle mass, and strength by promoting muscle protein synthesis. A lot of studies have been carried on on animals, but I have also uncovered a few human studies that have proven spinach’s ability to boost muscle mass strength and recovery. Spinach does not have any direct testosterone boosting properties, however it does help to increase several mechanisms involved in the production of testosterone. 1. It is high in a number of key testosterone boosting ingredients, this includes magnesium, Vitamin B6, Zinc, Nitrates and those very useful omega 3 fatty acids. 3. It is high in antioxidants which reduce cellular damage caused by free radicals, it is also very good at cleaning the blood. 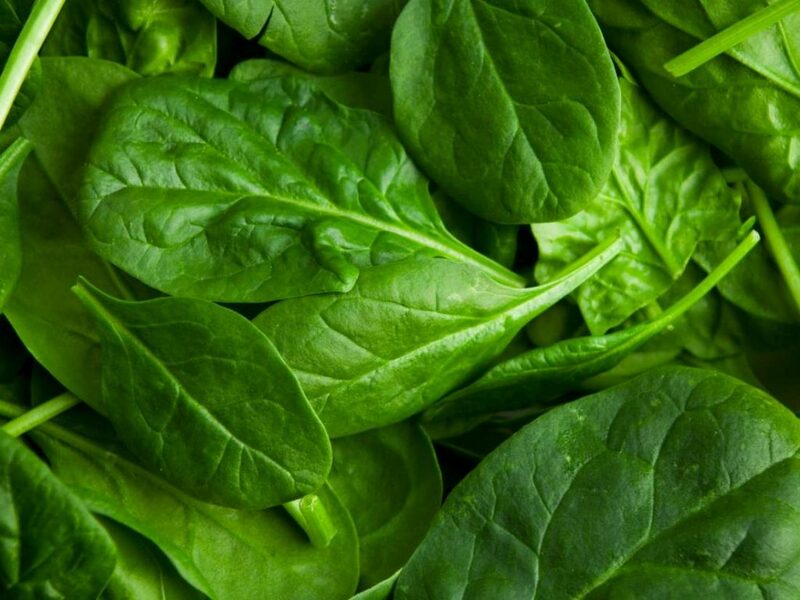 Animal studies do show that the phytoecdysteroids in spinach can reduce stress, protecting organs such as the hypothalamus, adrenal glands and spleen. They do work very well alongside other ingredients such as Ashwagandha to really reduce the bodies adverse response to stress. 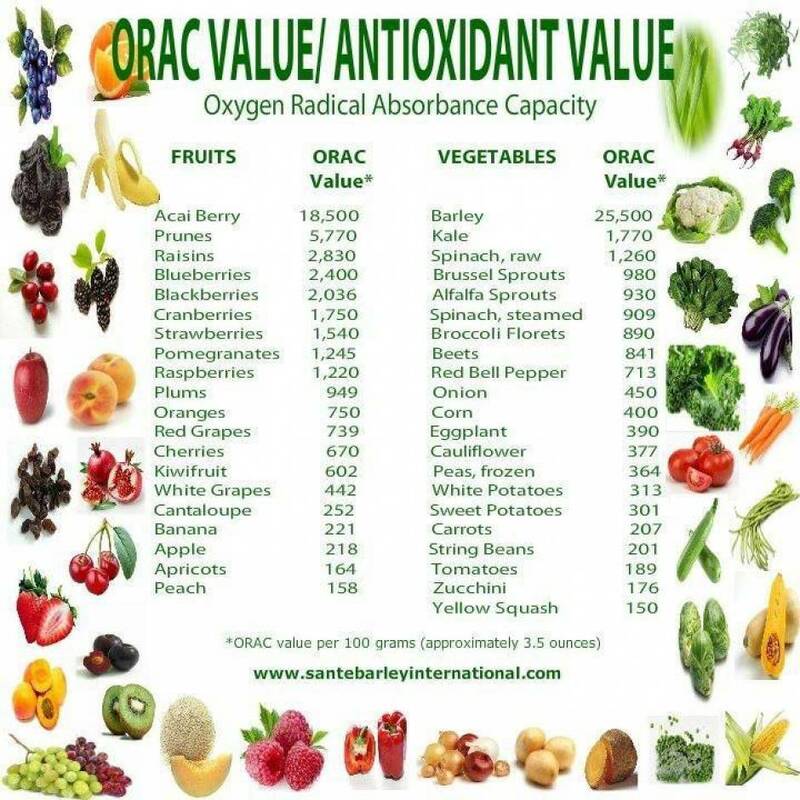 Spinach has a very high ranking reading on the ORAC scale ( the measure of antioxidant capability). it has a chart reading of 1260 which compares very well to other known superfoods. It is very high in a group of antioxidants known as epoxyxanthophylls. these have been studied and have even demonstrated benefits in the warding off of certain cancers, in particular ones effecting the prostate. They do not have a great bioavailability in humans however, so its a good idea to consume it regularly. For those who remember the biology lessons at school, you will recall the word Chorolphyll – it is what gives leaves and plants their vibrant green colour, and is key to converting sunshine into energy within the plant. It is highly rich in minerals, vitamins and antioxidants in its own right, and its used in our body to help make new red blood cells, and purifying toxic substances that can build in the blood. There is an enzyme in the body called beta-glucuronidase, it works to break up estrogen that is bound and being passed out of the body when you urinate. This is actually a bad thing when it comes to testosterone production as leaving too much estrogen in the body will directly reduce the amount of testosterone in the blood. Spinach actually helps reduce this problem by lowering the amount of beta-glucuronidase in the body, lowering the amount of Estrogen being recirculated back into the body. Now its not good either to reduce the levels of beta-glucuronidase too much as it does also have positive effects on the digestive processes and your overall gut health. I am yet to see any top quality t-boosters use spinach extract in their formulas, but I am sure that it will happen sometime soon. Until then, try and incorporate it into your diet a few times a week – even daily… it blends well in smoothies, is great in salads and tasty when steamed or cooked with a little bit of garlic, in butter, or preferably olive oil or coconut oil.